Writing Right All Year Long! 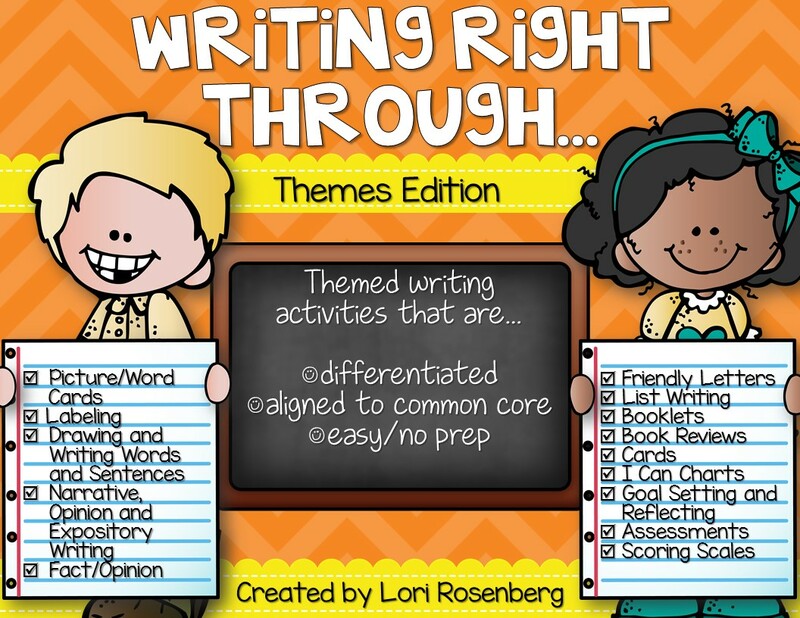 I am so excited to reveal my newly updated Writing Right Through Series! This series was originally created two years ago and I've been itching to add all the other activities I've made over the years. Plus, I bought tons of new clip art and borders and used ALL of it in this series. 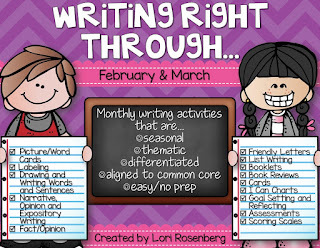 Writing Right Through...is jam packed with fun, engaging, and meaningful writing activities for developing and beginning writers for each month of the year. 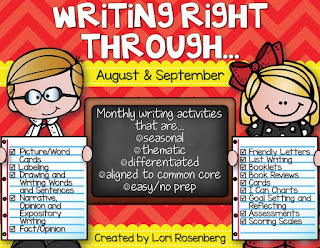 They are differentiated and correlated to the common core standards, or whatever standards your school follows. 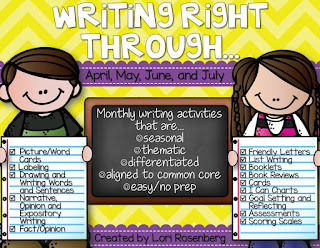 Each month, your students will be practicing so many important writing skills. The activities remain the same throughout the series, but the content changes, depending on the season or theme. 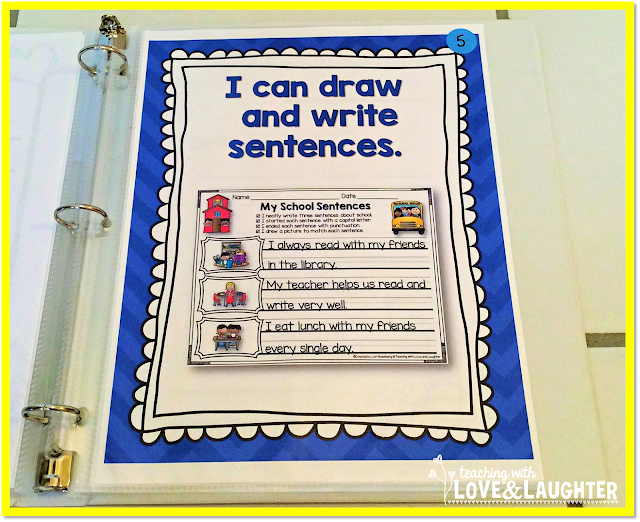 This way, the children will be able to complete the activities independently and develop and strengthen their skills in all types of writing. With this series, the children are not only practicing how to write their opinion or how to write to inform when it pops up during your writer's workshop, they are practicing it each month. So there's no time to forget the difference between fact and opinion or how to set up a friendly letter. 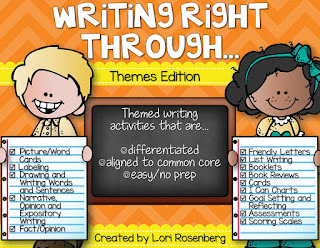 And, if you don't have a formal writer's workshop time during your busy school day, you can use these activities to help your students develop their budding writing skills. The activities included are high interest for the children and low prep for the teacher! 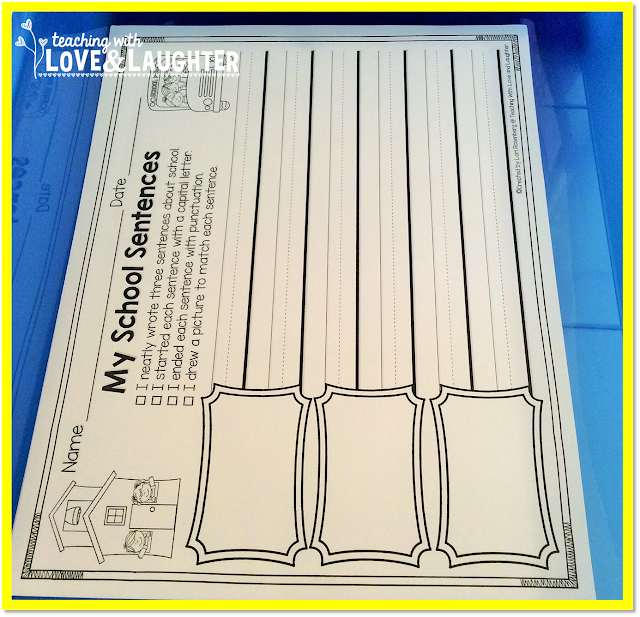 Just print and copy the activities you want to use for your whole or small group lessons, morning work, station work, homework, and/or whatever fits your needs. I always put out one or more of these activities whenever I am absent. They are great for substitute teachers! 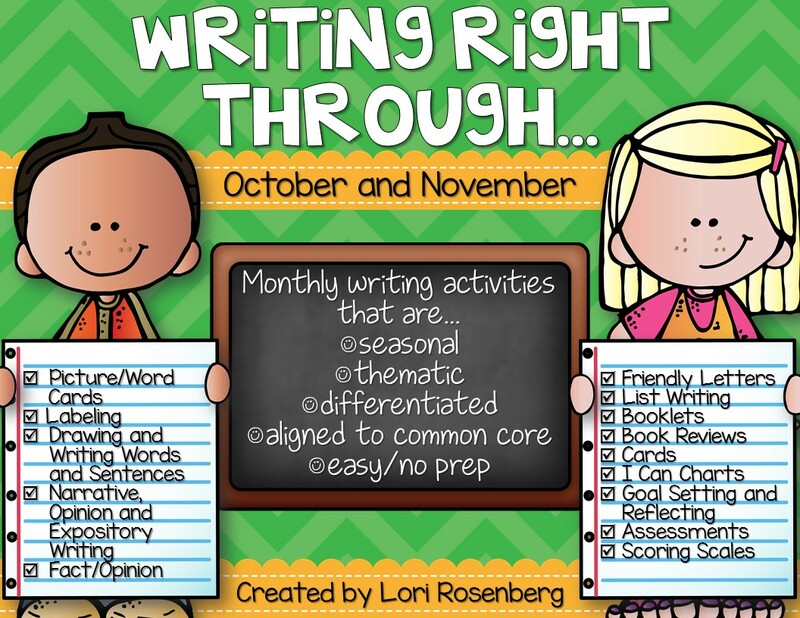 I love knowing that I have seasonal, thematic, and differentiated writing activities for every single week of the school year. It takes the guess work out of weekly planning! My work on writing station is always well stocked. 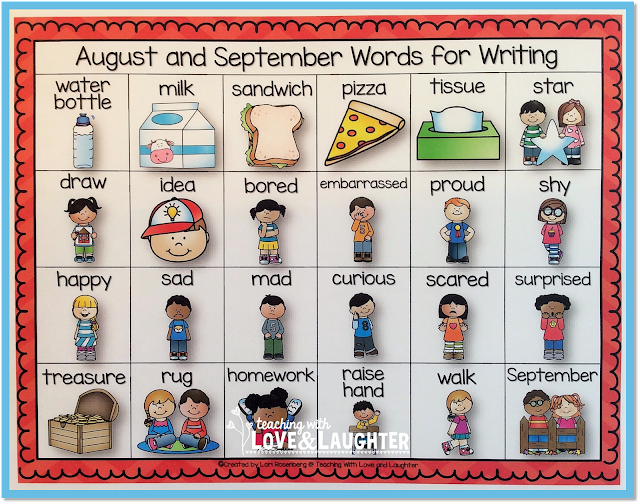 Here are some of the words for writing from the August/September pack. This pack contains a total of 48 word/picture cards. 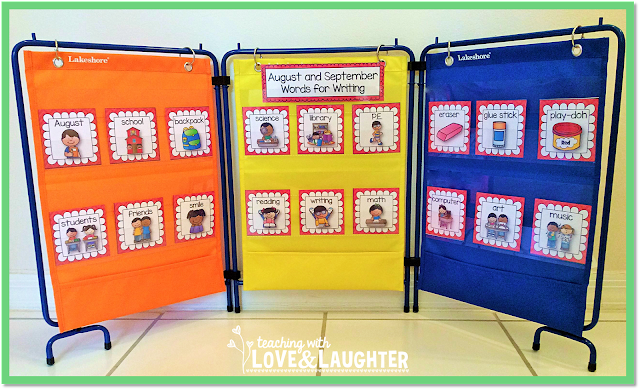 I keep them out at my work on writing station and the children use them to complete the activities for that month. If you don't have a lot of space, you can print the personal sized word lists. 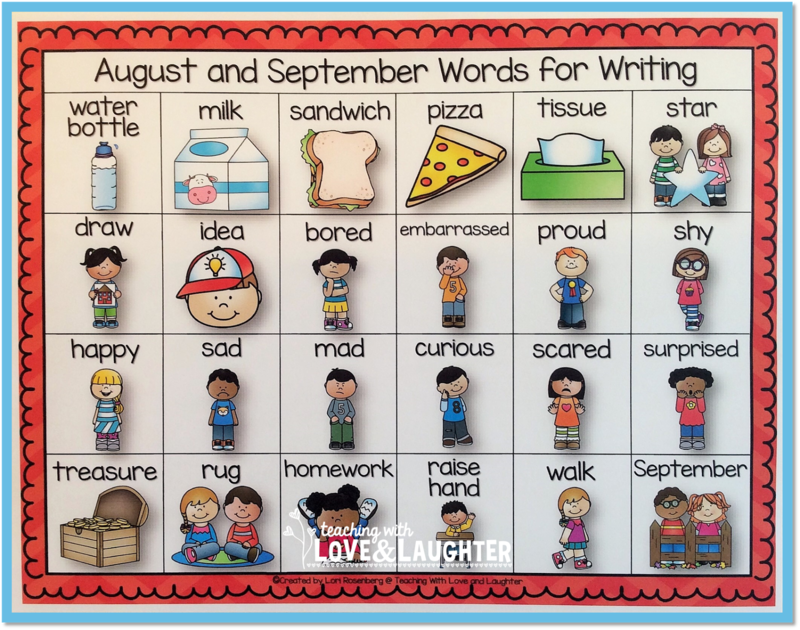 I always print and laminate a few of them for each month. I keep them out for the whole year. I find my students still like to write about Halloween in June! 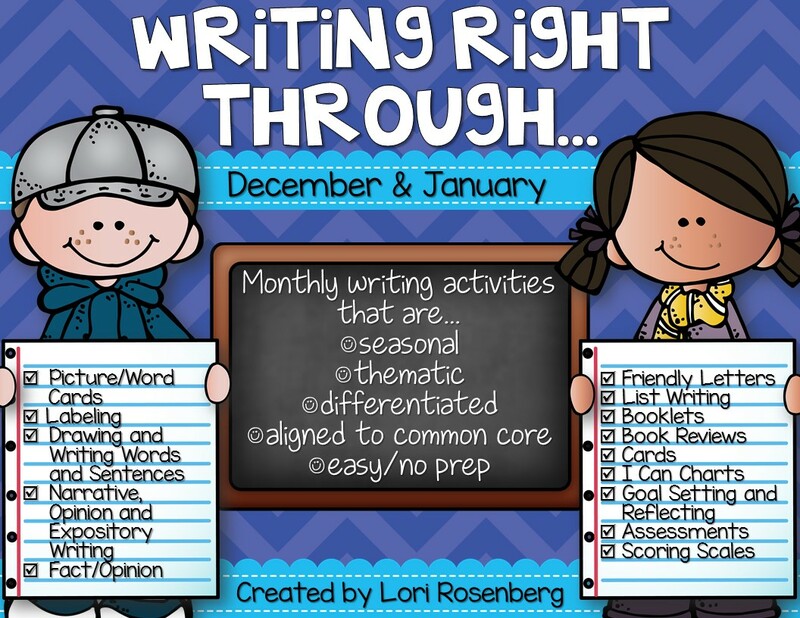 Through the years, I have organized my writing activities two different ways. I love both ways, so I'm going to show you both. 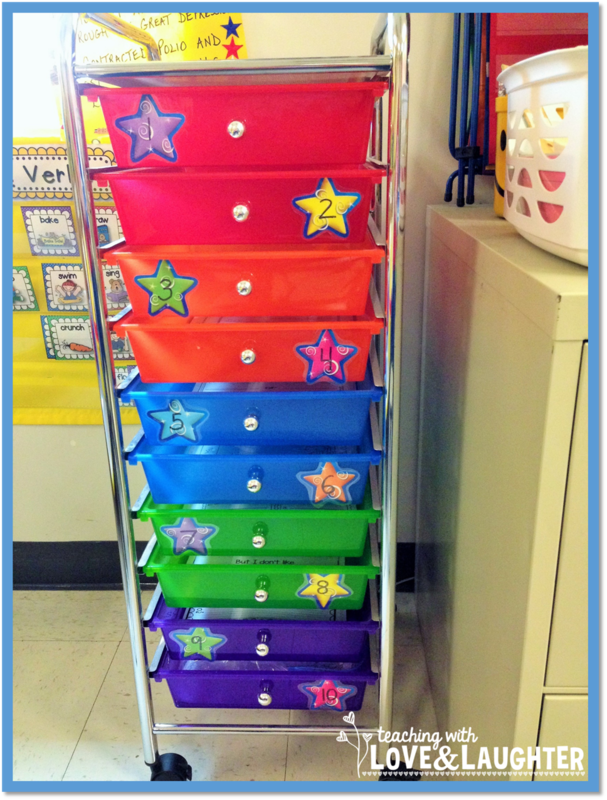 When I use my rainbow colored drawers in my work on writing station, I keep the I Can Charts for each writing activity in a 3-ring binder. The I Can Charts are in page protectors and they are numbered to match the numbers on the drawers. For example, the I can draw and write sentences activity sheets are in drawer 5. Rather than having the children open and close each drawer, over and over again, I do this so they don't break my drawers. They simply look through the binder to find the activity they want to complete and get the activity sheet from the corresponding drawer. 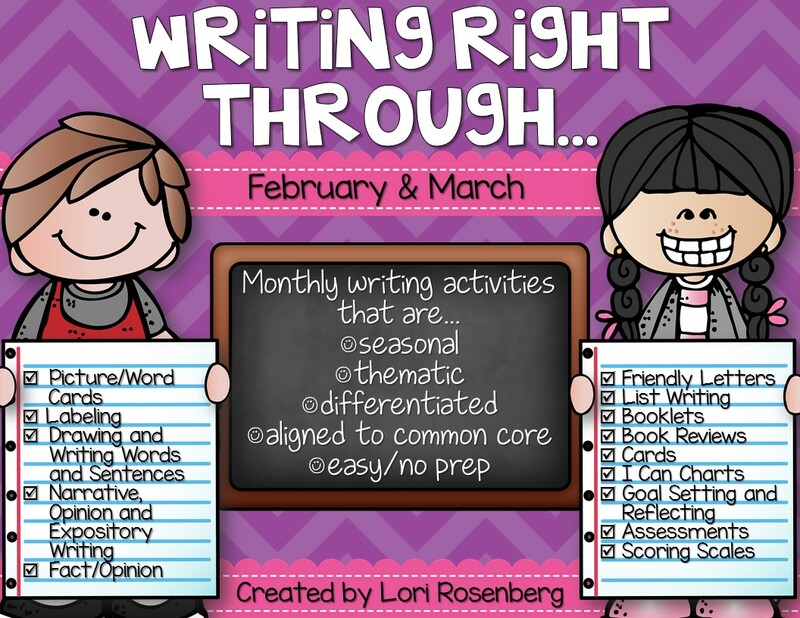 I change out the activities monthly, although, I frequently add new activities during the month, if I see that the majority of the children have completed specific activities. 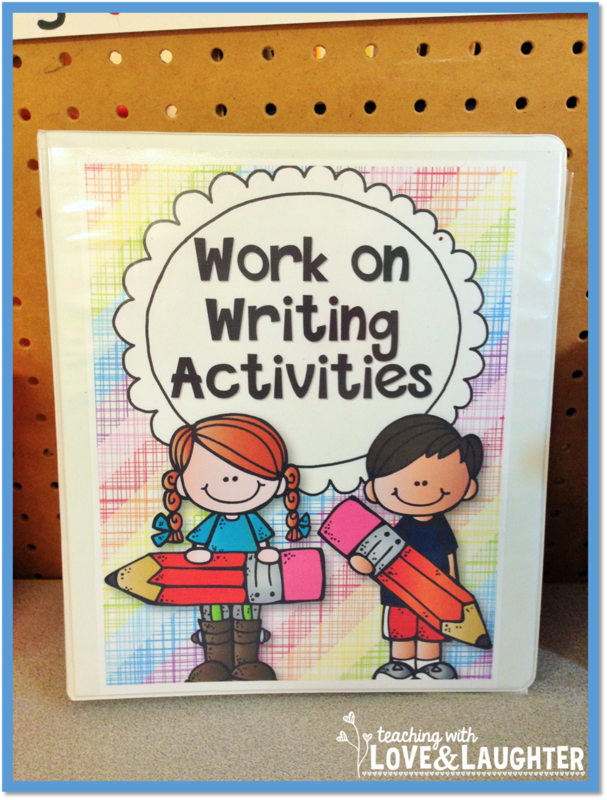 These are the activity sheets for this writing activity. The other great way I've organized my writing activities, is to keep them all in a file box, in file folders. Each folder is labeled with the activity name and the I Can Chart is attached to the outside of the file folder. 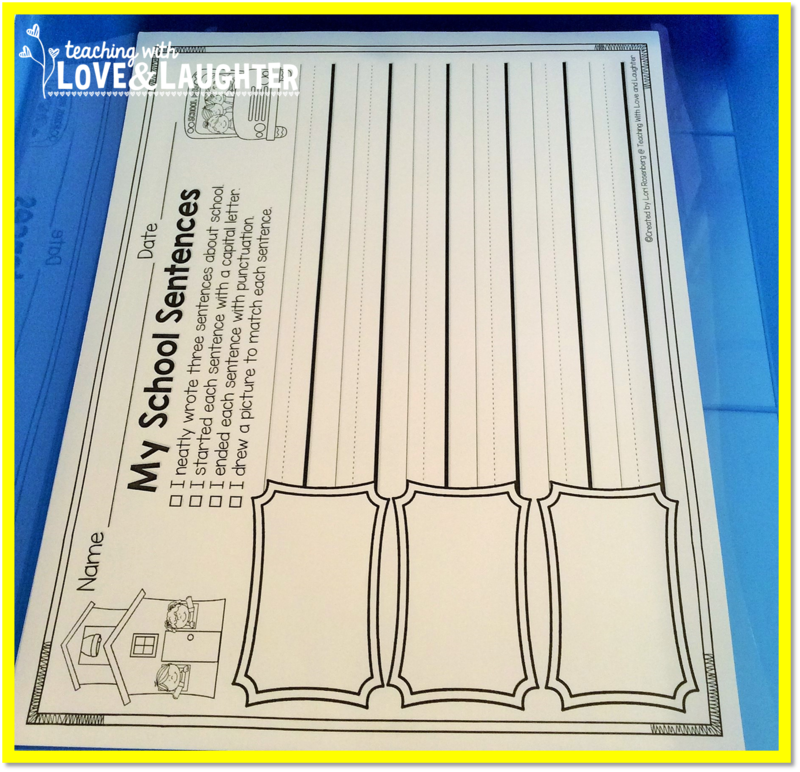 You can laminate them or put them in page protectors and keep them inside the file folder, as well. 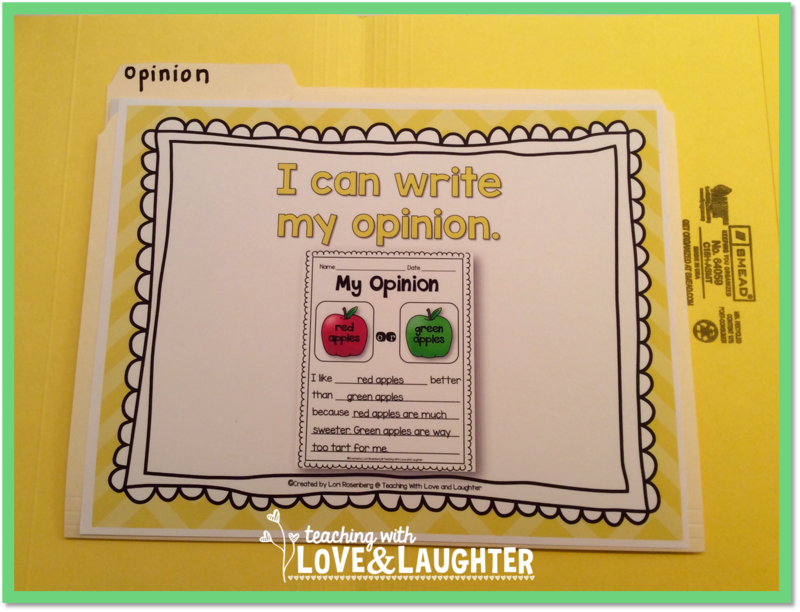 The activity sheets are in the file folders, making it very easy for the children to see what they want to do. I know it's hard to fully understand exactly how much is included in each pack, so I put together a sample of some of the activities from each month for you to look at. 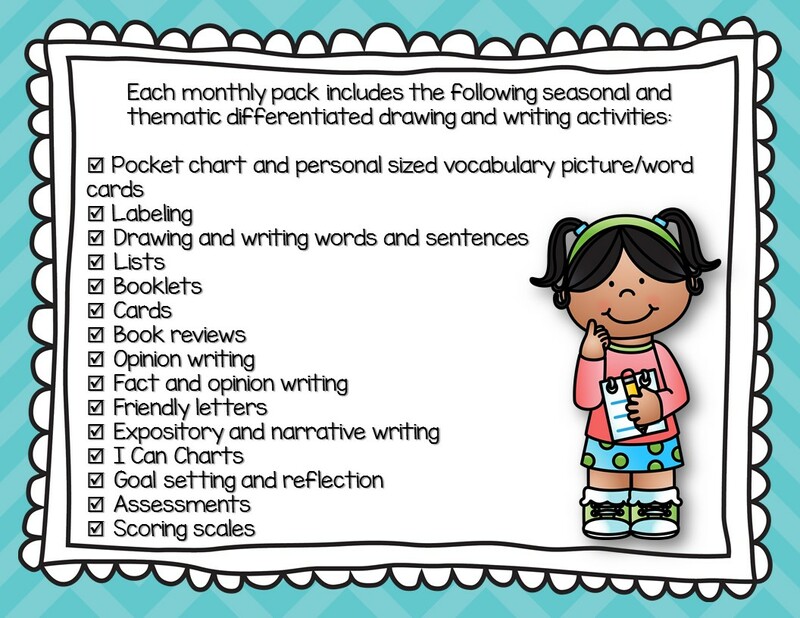 Obviously, there are a lot more activities in each pack! 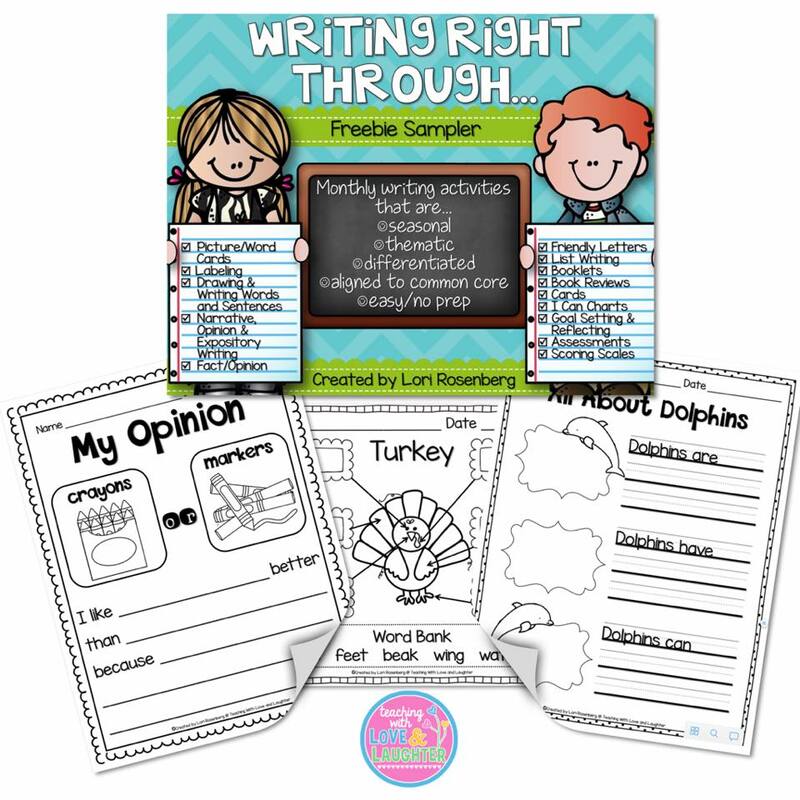 Click here to download the freebie sampler. Here are the links to each pack. If you click on each link and download each preview, you will see more images of what's included. This pack used to contain just April and May. If you already purchased this set, you can download it again and get June and July for free! This pack contains 6 additional themes. I am not finished updating this pack, but you can purchase it now before the price goes up! This bundle is offered at a discount! This bundle used to contain February through May. If you already purchased this bundle, you can download it again and get June and July for free! 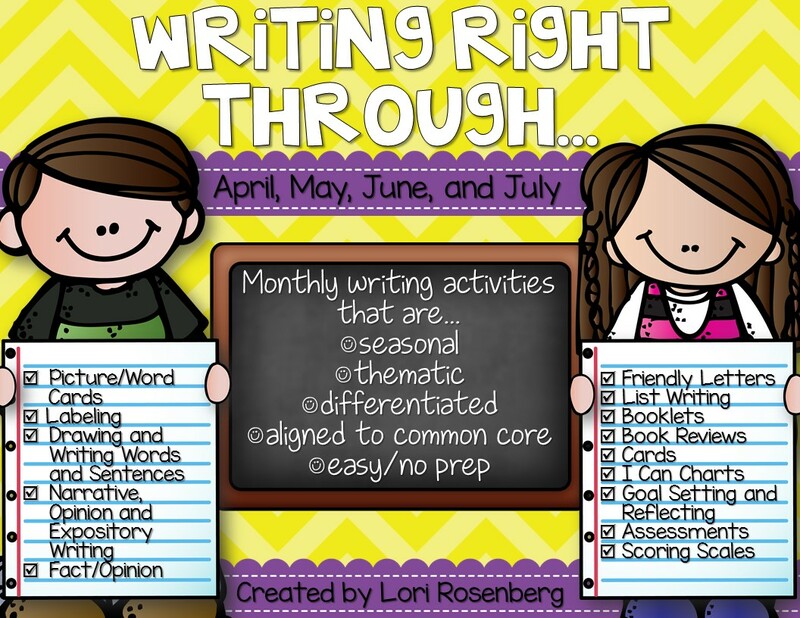 If you want your writing station planned for the entire school year, you may want to check out this series and help your students write right, right through the year! Since I know how teachers like to prep during the summer, the whole series will be on sale Sunday through Tuesday! Click on any of the links above to check out the previews. 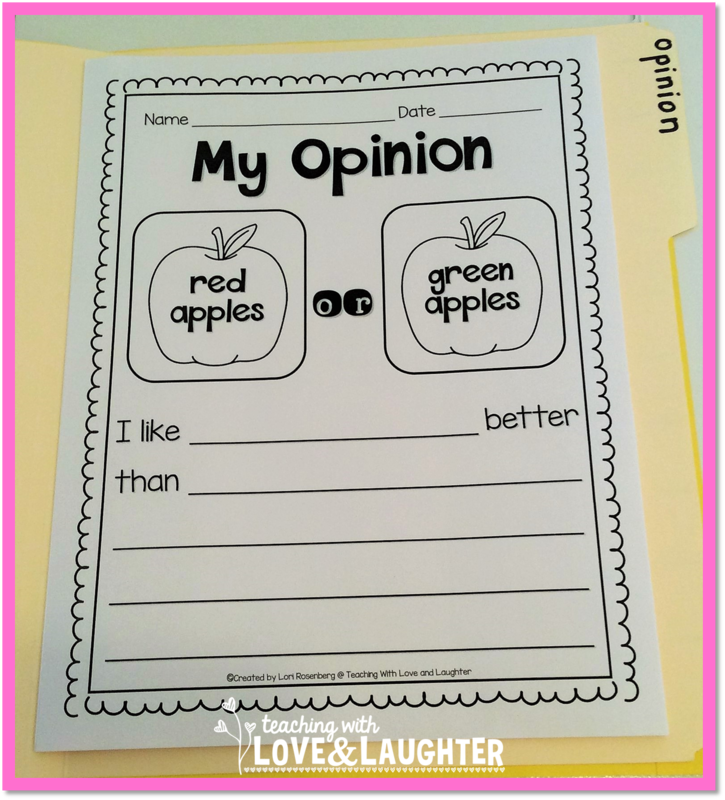 Tips to a Kindergarten Teacher Linky Party! Are you a new kindergarten teacher? Or an existing one, looking for some new ideas to help you manage your classroom? Well, you've come to the right linky! 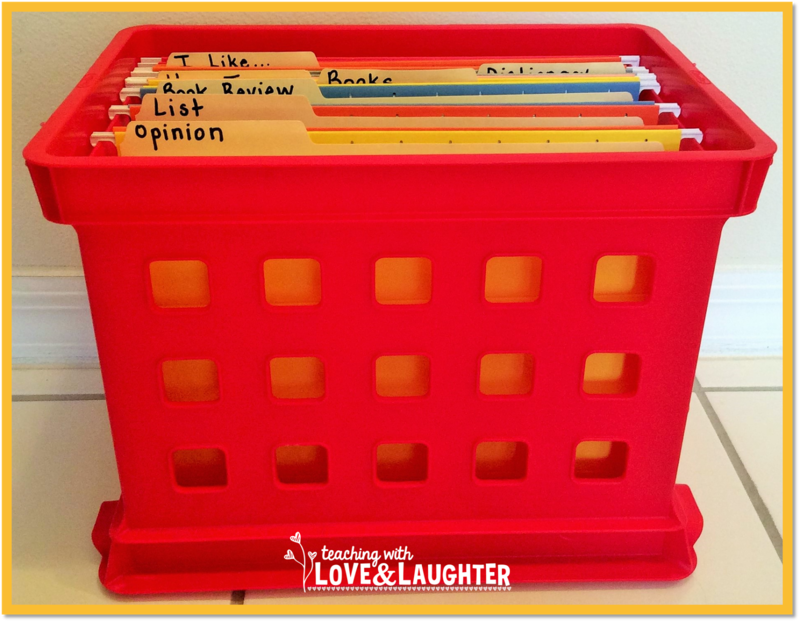 After 19 years of teaching our youngest learners, I've got a few tricks up my sleeve to help my classroom run as smoothly as possible. 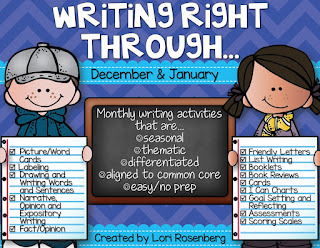 Although this is a kindergarten linky, I use these same strategies with my first graders, as well. From what to do the second they enter the classroom, to how to pack up for dismissal, and everything in between. And don't expect to model it once or twice and think they've got it down pat. It takes days and days and, for some classes, weeks and weeks, of modeling and reminding, until you can finally sit back and be a guide on the side. If you've done it right, then after about 2 months of school, your students should be able to run the classroom without you. And make sure to tell them this, because this information will empower them. Tell everyone who enters the classroom that your class practically runs itself because your students know how to do everything and find everything with or without you. Teach your students how to be in charge of your classroom, so if the telephone rings, or someone comes into your classroom and needs to talk to you, or a child has an accident and needs your attention, or, and this is my favorite, if you just need a few minutes to blow your nose or find something you misplaced, your class will not fall to pieces. I always have a leader of the day, so at a moments notice, if necessary, I can tell him/her to line the children up or call them quietly to the carpet or tell them a joke to keep them entertained. I never, ever worry that my class will lose control if I don't pay attention to them 100% of the time. And we all know that if we let our guard down, even for a split second, we run the risk of a mutiny. These children know when we are weak and will not hesitate to take advantage of that. 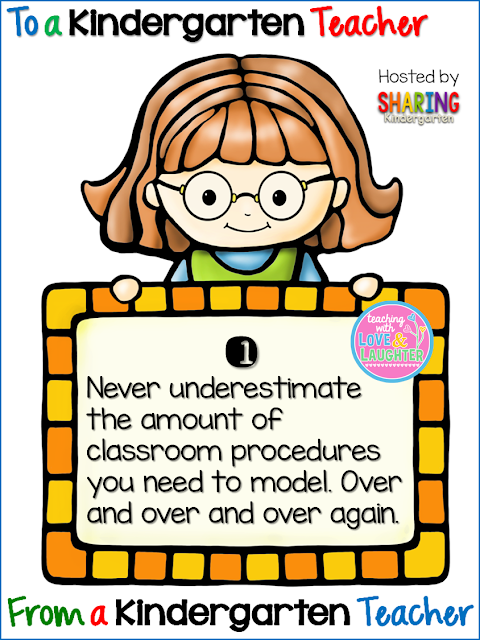 So, in short, if you model, incessantly, every little procedure, no matter how mundane, you will be a very happy teacher, who works smarter, not harder. I sing everything! From reminding my students to put their name and date on their paper, to telling them it's clean up time, I sing, sing, sing. Pick a catchy tune, like Row, Row, Row Your Boat, or Frere Jacques, and run with it! Or, make up your own tune. Your students will sing with you while completing the chore, making it a fun time, with no distractions or interruptions. 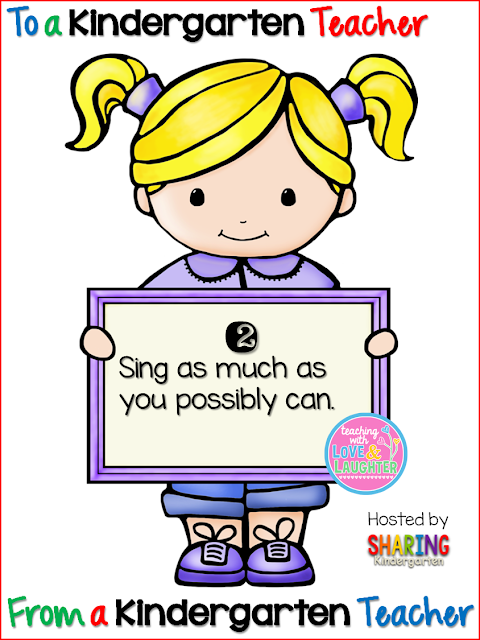 Singing songs about the alphabet and letter sounds and other skills and concepts you teach will really help it sink in. I still remember songs from when I was young, and I mean in the 80s! And why do I remember all the words to these songs, but I can't remember where I left my car keys on any given day? Because the tunes are catchy and they get stuck in your head and you can't help but remember them even if you haven't sung them in years. I think there's a part of our brain that is just for remembering songs and jingles and it's always there, whether you sing it all the time or hardly ever. These lyrics are so true. Because if you don't keep the song simple, then you'll always forget the words. I learned that the hard way! And even if you're not the greatest singer or if you're downright awful, don't worry. Your students will love your voice no matter what. My classroom is not only a singing room, it's also a Whole Brain Teaching room. If you're not familiar with Whole Brain Teaching, then use your summer vacation to learn some of their techniques because they are wonderful at getting your students' attention. 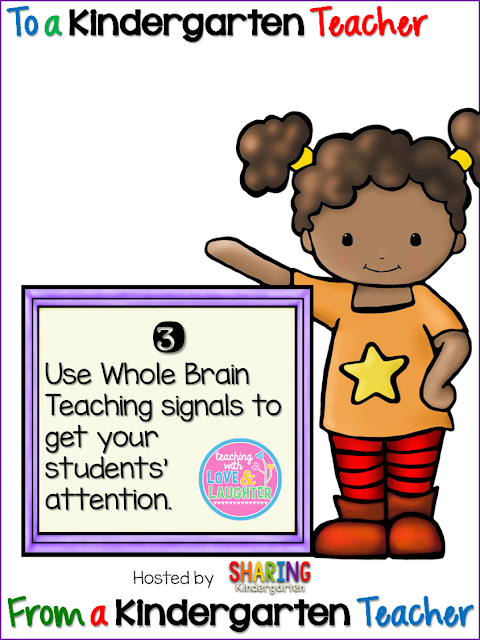 Even if you have other classes in your classroom and it is very noisy, WBT signals will work. Here are some of my favorite signals. And the list goes on and on. Read up on Whole Brain Teaching techniques because they really help make your day fun. 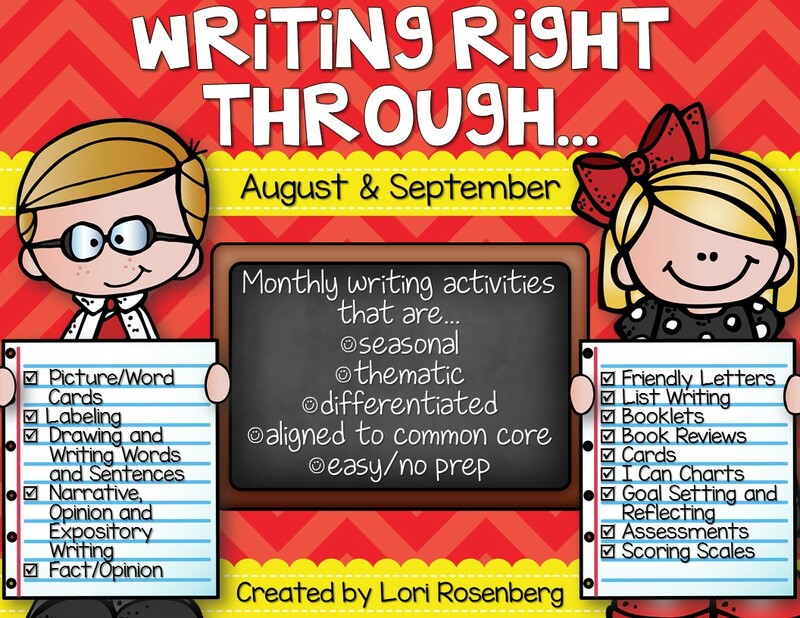 I have some blog posts here on WBT. 1. 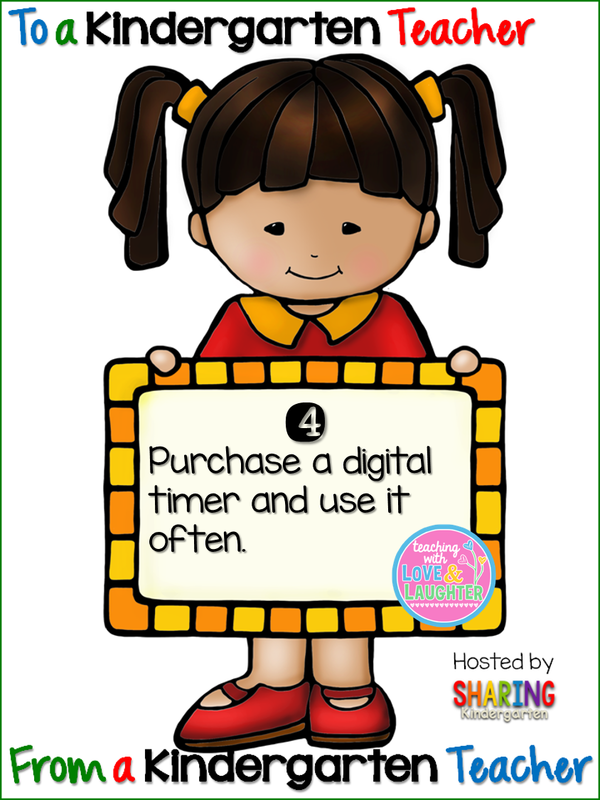 I challenge the children to clean up or complete an independent activity before the timer rings. 2. I set the timer so I know when to end an activity if I am in a time crunch. 3. If I need some peace and quiet or I want my students to work silently, I tell them it's time for "3 quiet minutes." And then I set it for 10 minutes! LOL! If I didn't set my timer all day long, my classroom would be a mess, my activities would go on forever, and my students would never have any quiet time. So, there you have it! Four tips for you from someone who has been teaching a really, really long time. These tips work and will definitely help keep you sane as you teach our youngest learners. Check out these links below from some amazing K teachers and see their tips.